Amazon also has a preview of the book’s first few pages, but the only pictures are of the house sigils, so it doesn’t give us much of an idea if this will be a “good” coloring book. (Also, we have no idea what makes a “good” coloring book.) Luckily, the reviewers on Amazon seem to know, and a lot of them are in agreement that the images in the book are really nice to look at, but they’re not very fun to color. Also, there aren’t any pictures of the characters that people would really want to see, like Ned, Joffrey, Jon Snow, Tyrion, or Samwell Tarly. 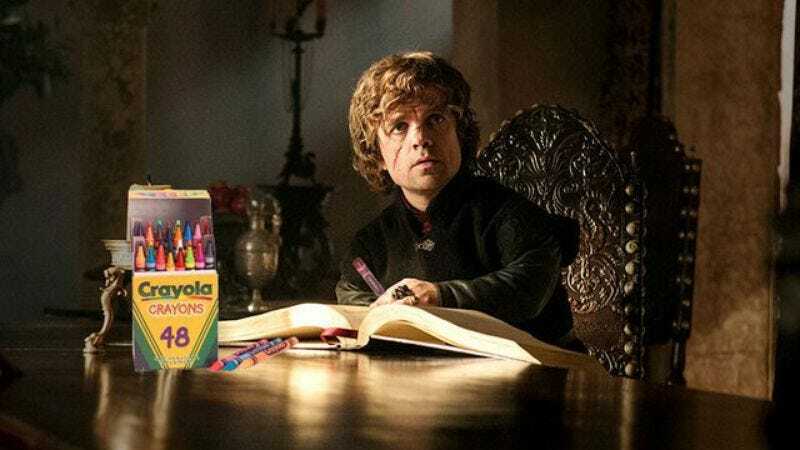 Still, those complaints could be coming from coloring book snobs, and it’s really not our job to tell you which coloring books you should buy. We’re just here to report on its existence, and make jokes about using a lot of red crayons.